A recent article by Eric Naki originally published in The Citizen says that the president’s performance rating grew from 64% in the first quarter (Q1) to 68% in Q2 and dropped to 54% in the current quarter. 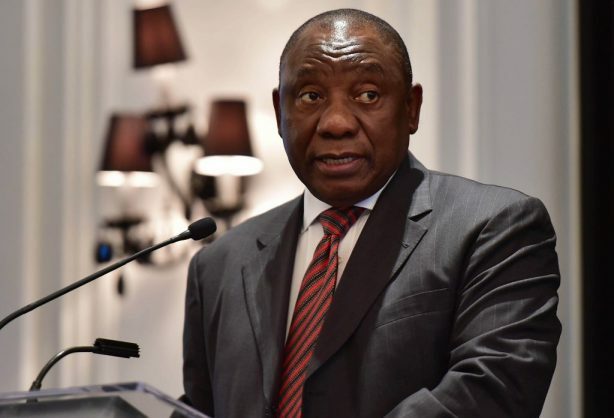 Ramaphoria is waning and South Africans’ perceptions of the country’s weakening economy and deteriorating living conditions are reinforcing a belief that the nation is no longer moving in the right direction under President Cyril Ramaphosa. Despite Ramaphosa’s waning popularity, he still topped the popularity stakes, according to a survey of perceptions among adults. Democratic Alliance leader Mmusi Maimane narrowly beat the Economic Freedom Fighters’ Julius Malema, with favourability ratings of 31% and 29% respectively. The president’s performance rating grew from 64% in the first quarter (Q1) to 68% in Q2 and dropped to 54% in the current quarter. The survey, undertaken by Cape Town marketing and social research company Citizen Surveys, was based on a national face-to-face representative sample of 1 300 South African adults, conducted monthly since July 2015. However, it is not clear how Ramaphosa and his ANC would be perceived after he recently undertook international visits to lure foreign direct investment, unveiled a recovery plan, introduced a plan to stimulate the economy, organised a Jobs Summit and, later, an international investment conference. While the impact of his economic growth plan is yet to be felt, the latest figures for the third quarter from the SA Citizens Survey showed that 65% of South Africans believe the country is heading in the wrong direction. Trust in state institutions has dropped gradually and drastically across the board, including the public protector’s office, the SA Police Service, SA Revenue Service and even the Independent Electoral Commission. Reza Omar, research director and strategist at Citizen Surveys, said: “The depth of the problems facing [Ramaphosa] should not be underestimated. The latest figures were a change from Q2 in 2017, which showed only 19% of respondents believed the country was heading in the right direction, rising sharply to 37% in Q2 of 2018. Now, a decline in Q3 of 2018 to 28% represents a shocking drop. The South African Citizens Survey said, however, that many South Africans were still hopeful about the future, with about 60% remaining optimistic about an improvement in their livelihoods over the coming year.